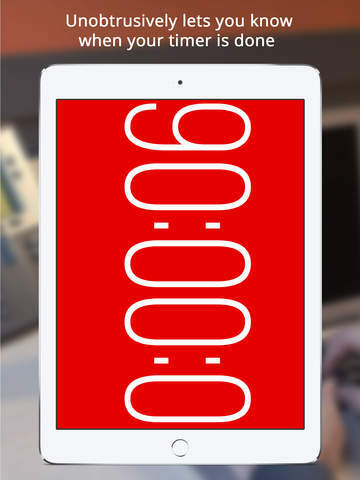 Fix for wrong timer font displaying on some devices. Download now and streamline your life with the beautiful to see, lovely to use, and fastest to set timer! • Easily readable up to 30 feet away on your iPhone. 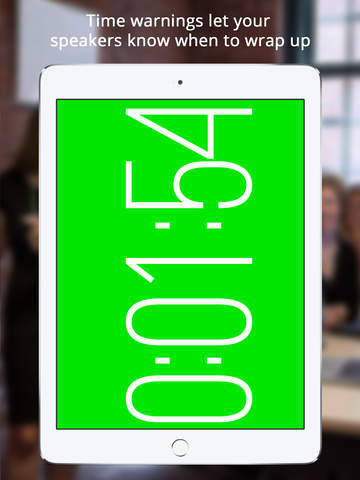 Try putting it behind your audience for better eye contact - for even further try a giant iPad timer! 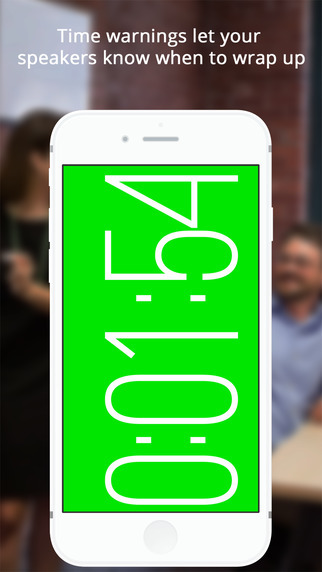 • If you're in charge of keeping presenters on time, just set it up where they can see it, maybe add a time warning to let them know when they should be wrapping up. • Won't disturb your audience, or you, with ANY noise or vibration. 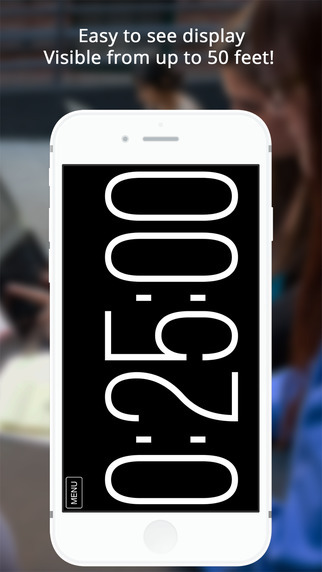 • Lets you know at a glance how far overtime you’ve gone – better talk faster next time! • Use it for music, dance, church services, comedy, plays, whatever has a start and an end! • Count up instead of down if you need to, you can even use warning times while counting up. • Great for keeping yourself in sync while podcasting. • Time your work or your internet breaks at the office without disturbing your coworkers or yourself. • Works great for the Pomodoro Technique, just set the timer to 25 minutes and Pomodoro your way out of procrastination. You can find more information and support at yoctoapps.com, contact us at support@yoctoapps.com, or follow us on twitter at @yoctoApps.